Polycystic Ovary Syndrome, or commonly known as PCOS, is a common hormone disorder among women, affecting an estimated of one in every five women. Surprisingly, despite of how common it is, many women don’t know its existence and there’s a lack of information about the condition. Here are five important things about PCOS that every woman should know. As of the moment, there’s no single test that can diagnose PCOS. Evidently, this is one of the reasons so many women are suffering without realizing they have it. However, according to experts, doctors should confirm the condition if you show two or more of these signs: high androgen levels, ovarian cysts and/or disrupted ovulation. The best you can do is to get an ultrasound and a blood test. If you have any of the mentioned indicators, the more you need further examinations. If left untreated, PCOS can cause more health problems, from diabetes to heart disease and even cancer. We’re not saying this to worry you if you’re diagnosed; we’re saying this so that you’ll seek medical support as early as possible. Go to your gynaecologist and get checked. If PCOS is confirmed, know your treatment options and follow your doctor’s advice. Many patients with PCOS think that it’s impossible for them to get pregnant, but that’s not true. In fact, researches about fertility and health issues associated with PCOS unlock more and more solutions to help PCOS-diagnosed women to conceive. Just remember that having this condition doesn’t mean you cannot get pregnant. The most effective treatment for PCOS is not clomid, birth control pills, metformin or spironolactone, but attaining and keeping a normal weight through regular exercise and healthy low-glycemic diet. Maintaining a healthy weight will lower the risk for cancer and make your body more responsive to treatments. 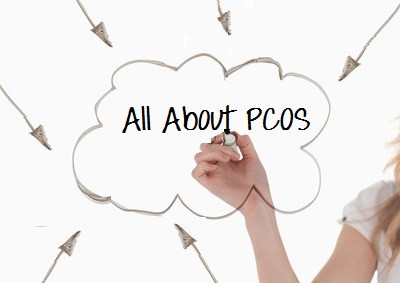 Signs and symptoms of PCOS vary significantly from person to person. Some of the most common signs include recurring acne, very oily skin, irregular periods, weight gain and excessive facial and body hair growth. 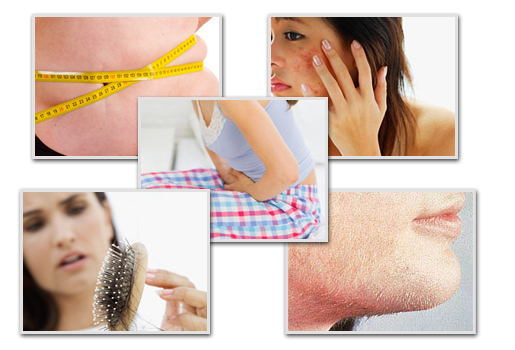 But there are also other signs and symptoms that are more surprising than those mentioned, such as higher levels of depression, skin tags especially around the armpits and neck, getting dandruff more frequently and even deeper voice—all of which will clearly give you an idea of how much human body is regulated by hormones. Considering the limited information of PCOS, it’s important to know as much as you can about the condition. If you exhibit any of these symptoms, make sure to get yourself checked. Up to 10% of women in the world have PCOS, so you are definitely not alone.